Say Good-Bye to Dry, Damaged, Dull Hair. Lightweight Macadamia Nut Oil and Bamboo Extract correct, strengthen and boost shine. 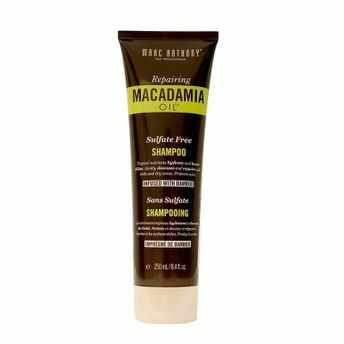 It gently cleanses the scalp with rich nutrients to hydrate while washing away impurities. Explore the entire range of Shampoo available on Nykaa. Shop more Marc Anthony products here.You can browse through the complete world of Marc Anthony Shampoo .